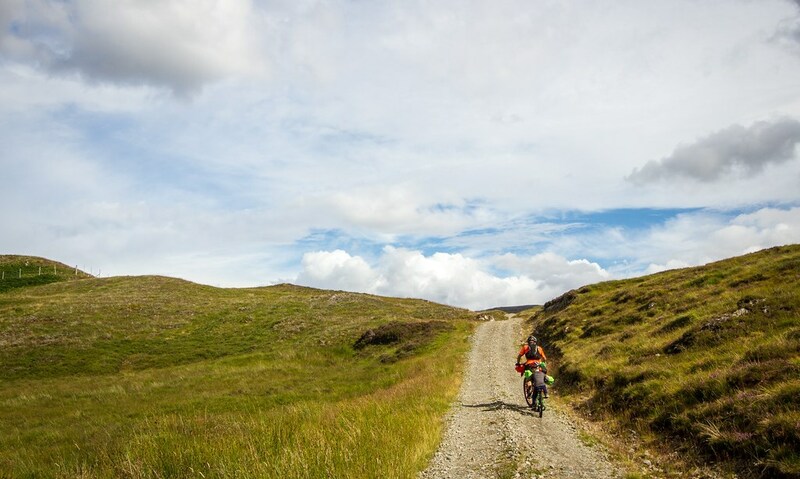 Corrieyairack Pass is a 770 metre high pass in the Highlands, and is known in a large part because of the military road built over it by General Wade during the Jacobite Risings in the 18th century. 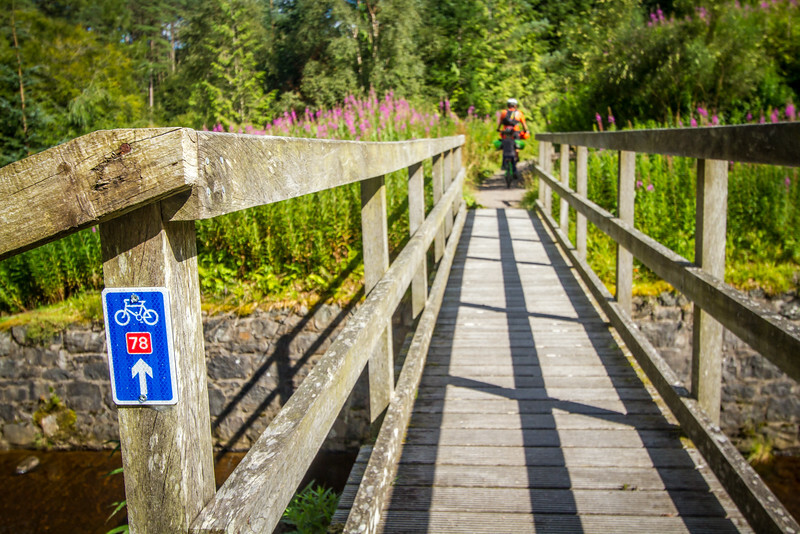 These days the road isn’t in great shape, but is relatively popular with hikers and cyclists. Corrieyairack Pass was where we were headed tonight. 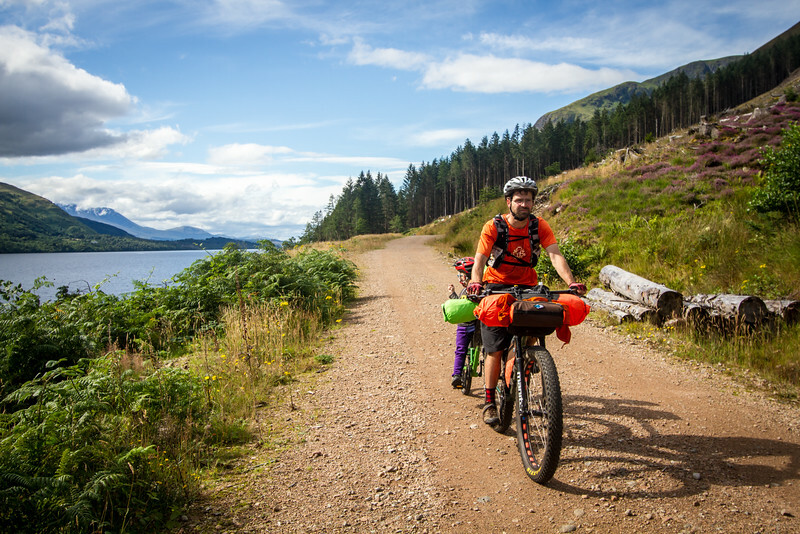 But first, up we were headed north along the canal route, and the shores of Loch Lochy (really? were they running out of names). 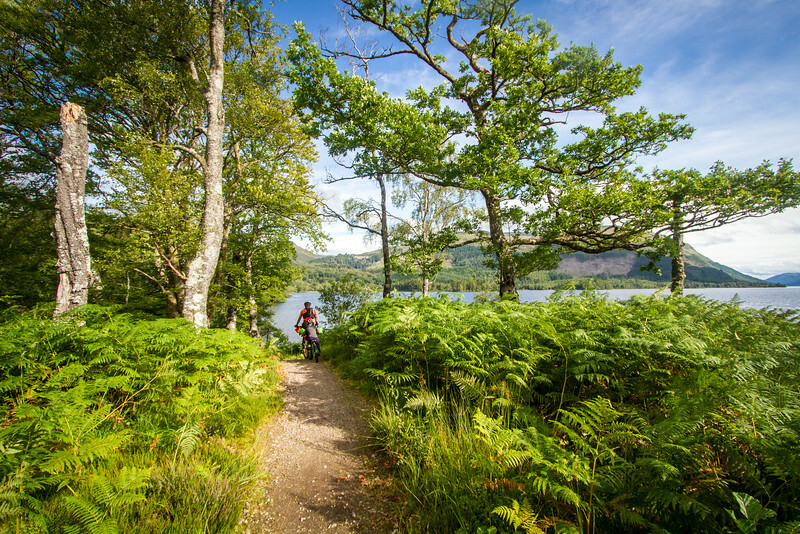 Undulating dirt road through mossy forest and enormous trees, forest camp sites, rope swings, ferns, flat tyres and on to Loch Oich. 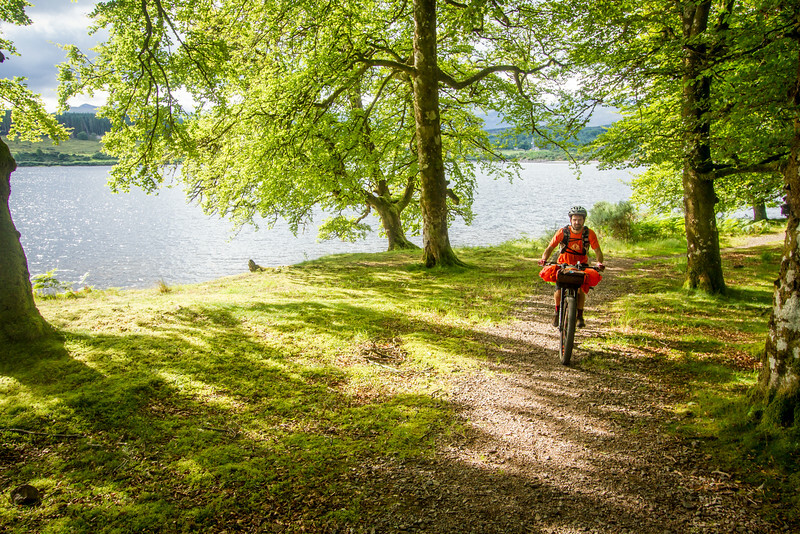 We travelled alongside Loch Oich on a wildly civilised rail trail, complete with tunnel, before continuing along the Caledonian Canal. Technically we’d been following the Caledonian Canal since we left Fort William, but this was one of the man-made sections connecting the Lochs. 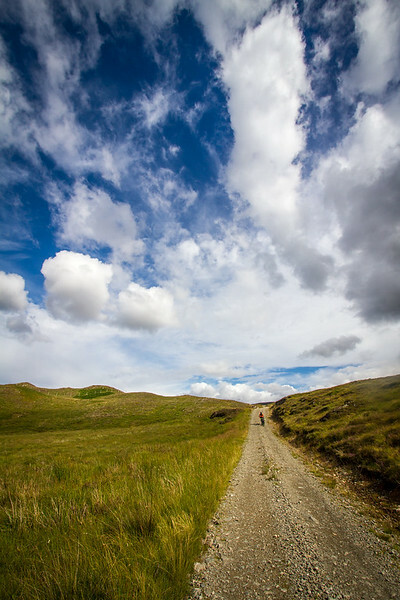 Drawing close to Fort Augustus the trail was being resurfaced with an odd compacted grey stone and powder mix – it felt like a cement asphalt, but was just being laid out and compacted to set it. It was very smooth to ride on, and now I’m wishing I’d quizzed the contractors about what exactly it was. And now I feel like a massive trail geek. At least I’m not bringing up my thoughts on signage in Scottish towns. 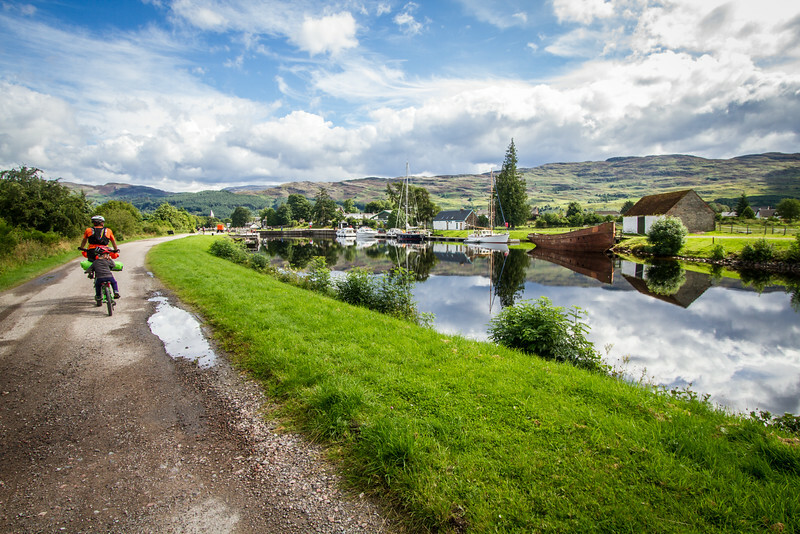 Until we reached Fort Augustus the day had been quiet and peaceful and pleasant, with barely another person about, except for the crew of folk who were employed along the canal, opening bridges and such. 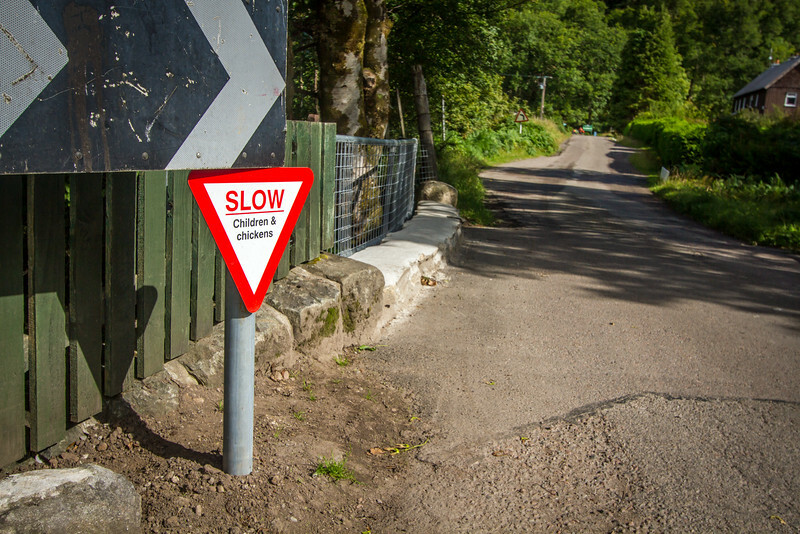 Fort Augustus lies on the end of Loch Ness, and so was swarming with tourist traffic. 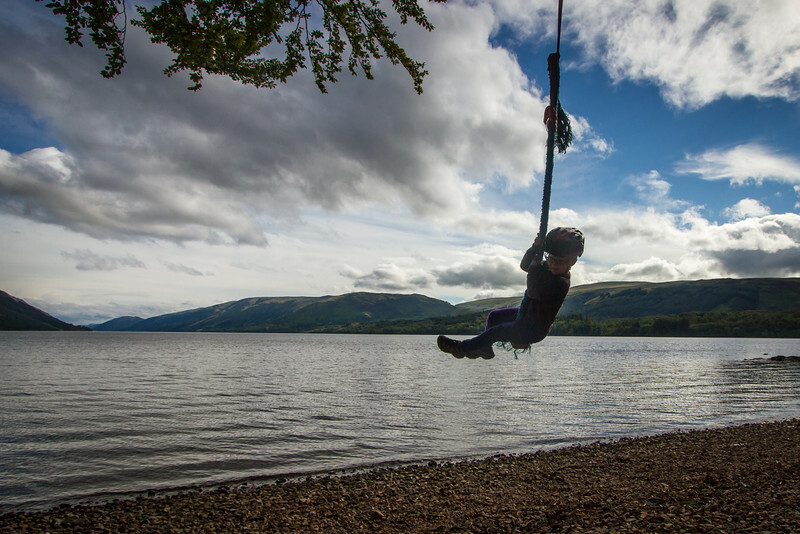 We lunched, resupplied, sat on the ground outside the shops and had a second lunch, ate icecream, then disappeared on our wild dirt roads and left them to their Loch Ness monster tours and stuffed toys. The initial turn off Ardachy Road onto the Corrieyairack Pass climb was wildly overgrown with vicious prickly bushes, while a nice clear dirt road was 50 metres away, but guarded by the power company that was busy running around erecting enormous towers. The start was fairly challenging, but after a few hundred metres the evil bushes disappeared, and we were onto an open dirt road of our own, slogging uphill steeply. It was steep climbing, but very rideable. 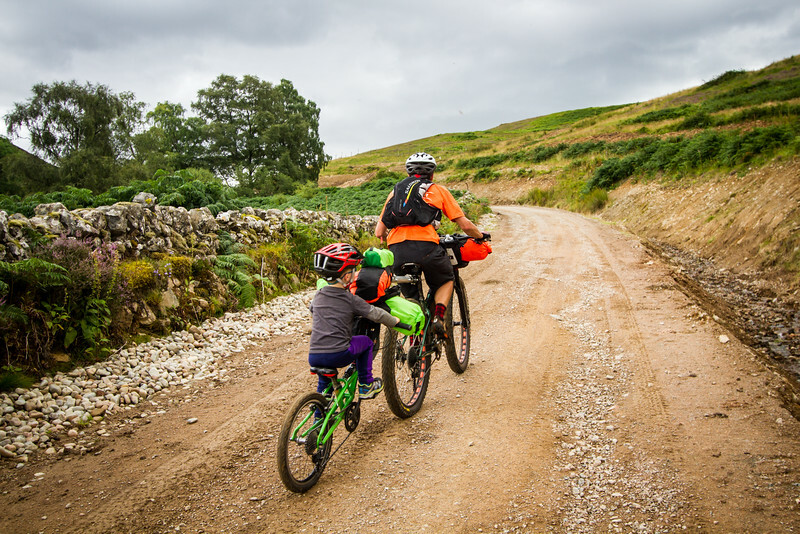 Even loaded, I managed to clear every hill on the way to the bothy… but some of them were only just. 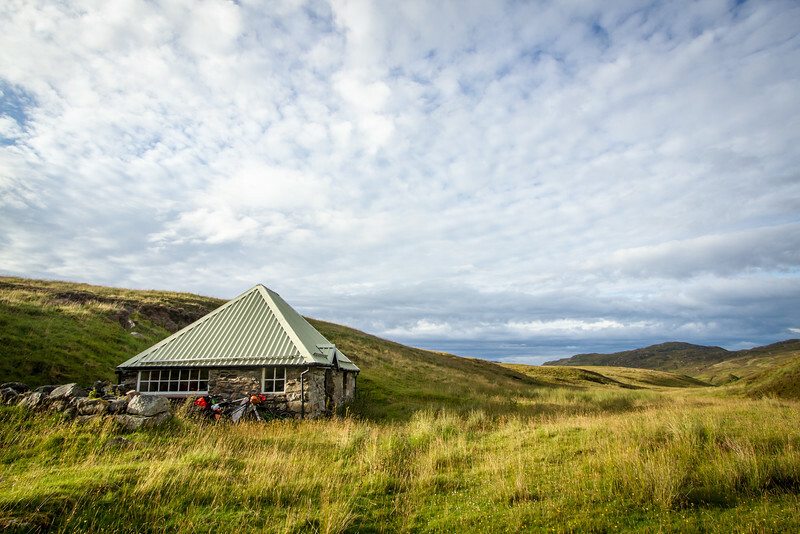 The midges at the bothy were ferocious. Stand still for a second and you’ll be black with them. There were also ticks living in a particular clump of bushes near the bothy. I managed to walk through it a few times before working out which area to avoid if I didn’t want to be picking 10-15 nymph ticks off me. We all ended up with ticks embedded today, and ended up resorting to improvising tweezers with two USB cable plugs, following the mysterious disappearance of our fancy new tick remover. 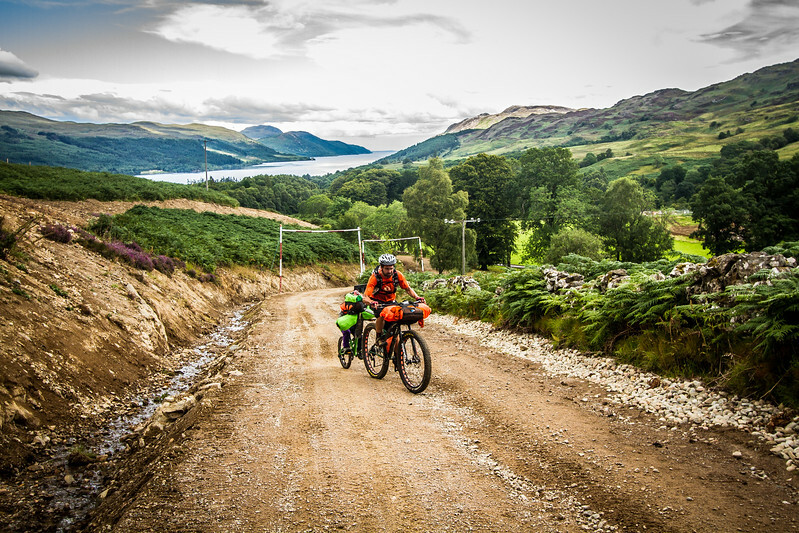 Random facts: Like a lot of the trip, today we were on both the Great Glen Way and the Highland 550 bikepacking race route. And there was quite a lot of good informal camping along the canals and lochs we rode along today, with signs at the locks to let you know where you can camp. And there was a decided lack of wildlife, which seems to be the theme of Scotland.